Hello Everyone! I am happy to make the formal announcement of our next Cook the Books pick: Funny in Farsi: A Memoir of Growing up Iranian in America, by Firoozeh Dumas. I have great affection for this book of autobiographical essays, since it made me repeatedly laugh out loud and bug my husband with constant interruptions so that I could read portions to him. Dumas is a wonderful storyteller and her upbringing certainly was interesting. Born in Iran, she moved to Whittier, California with her family in 1972 when she was seven years old. Her father, Kazem, is a petroleum engineer and a constant source of amusement throughout the book. He's a bit of a dreamer, an enthusiast for American game shows, a constant dieter and someone who thoroughly baffled Albert Einstein when he had the chance to meet with him. 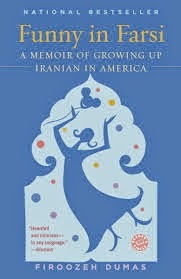 There is enough mention of Persian foods and Firoozeh's hilarious anecdotes about how her family encounters and experiences American ones to get us going in the kitchen, so I hope you will also enjoy this very funny, but also touching, book as much as I have. Submissions are due June 1, 2014. 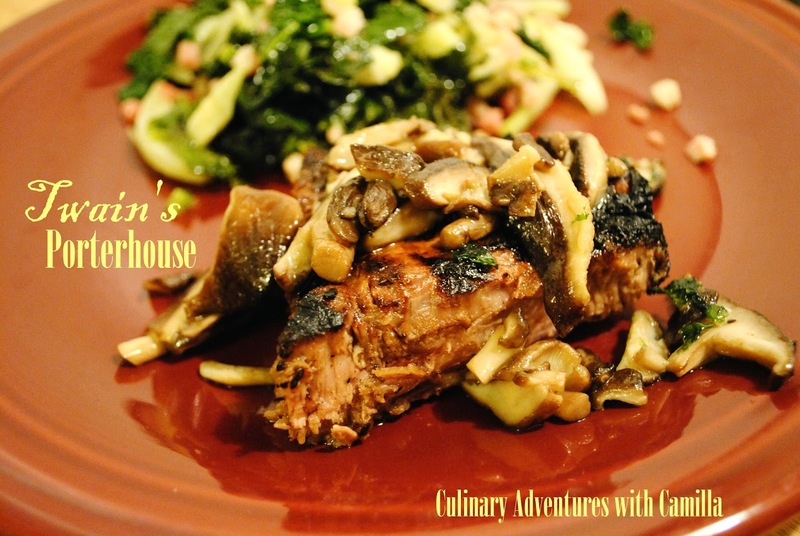 As always, anyone can join us in this round of Cook the Books buy reading and blogging about the book, including a dish that you have made which has been inspired by its contents. You can let me know that your post is up by posting a comment below or by sending me an email at: oldsaratogabooks AT gmail dot com. 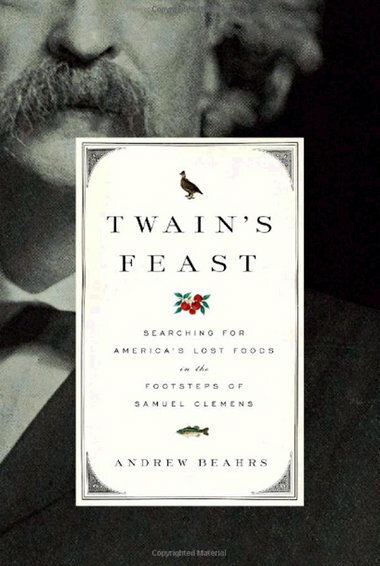 It's time for the roundup of Cook the Books' Club February-March 2014 edition for which we read Twain's Feast: Searching for America's Lost Foods in the Footsteps of Samuel Clemens by Andrew Beahrs. For each contribution (given in order of publication), I will give you the official information (author, blog name and post title) and a brief quote from it — a tiny morsel that will entice you to follow the link and read the details of the dish prepared and of how the reading inspired the activity in the kitchen. Now, please, make yourself comfortable, then follow me on a little literary / culinary journey on the footsteps of Mark Twain and Andrew Beahrs. "I really had no clue that Mark Twain/Samuel Clemens was such a champion of American foods; while others were lauding the sophistication of European cuisines, he longed for some down-home cookin'... The Porterhouse is a composite steak. It's basically an over-sized T-Bone, thicker cut, with a lot more of the tenderloin relative to the loin portion." "Twain often wrote about the foods of New Orleans, recalling the lands and waters that he knew as a riverboat pilot on the Mississippi... And he was fascinated by Mardi Gras. In a letter he wrote: 'I may say that an American has not seen the United States until he has seen Mardi Gras in New Orleans'." 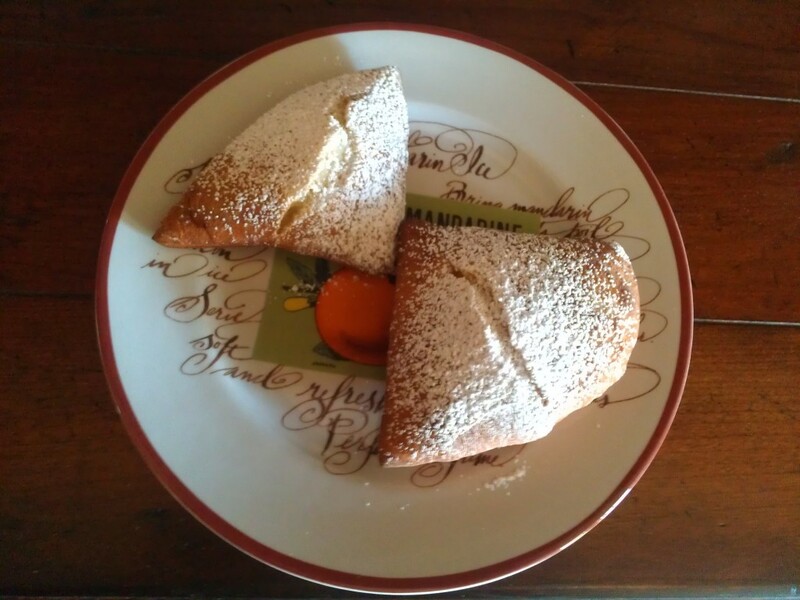 These beignets are "an untraditional savory take" on those offered by the Café Du Monde in the French Quarter. "I wanted to make something from corn...I also wanted to use maple syrup. Another food indigenous to North America and, apparently, one of the few mostly wild foods still popularly consumed... And, of course, bacon. After all, it is the internet. Plus I have noticed that bacon is something that Americans abroad really miss. Corn, maple syrup and bacon. These added up to a completely indulgent snack." "I don’t think I would get too much of an argument by saying that New Orleans may be the most culinary city in the U.S. (and maybe the world)... Instead of funny looking fish, I still had beignets from Cafe du Monde in my head and I wanted to do a traditional New Orleans food. The Hubs wondered if I could make them. Of course, I said." "I ended up inspired by Beahrs' chapter on oysters, once so plentiful in the U.S. that they were sold by the barrel... I did end up with one container of shucked oysters from the Saratoga Springs Price Chopper which were cleverly hidden away in a refrigerated case next to the organic vegetable section, so clutching this in the crook of my arm throughout the rest of my shopping trip, I got it home and tinkered with the family recipe to make this rich and delectable side dish." "I wanted something local, somewhat seasonal... I ended up going back to the first item on Twain's list, the radish. Easy to get fresh locally and something I don't cook a lot with... 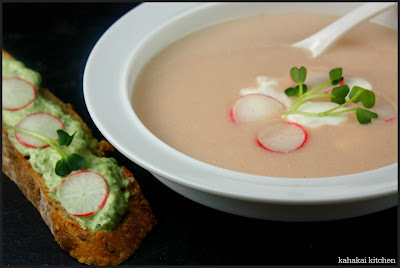 While I will never be a plain, raw radish lover, I have learned to appreciate them: roasted radishes are pretty yummy, feta cheese is brilliant with radishes and the peppery radish greens are really quite tasty." 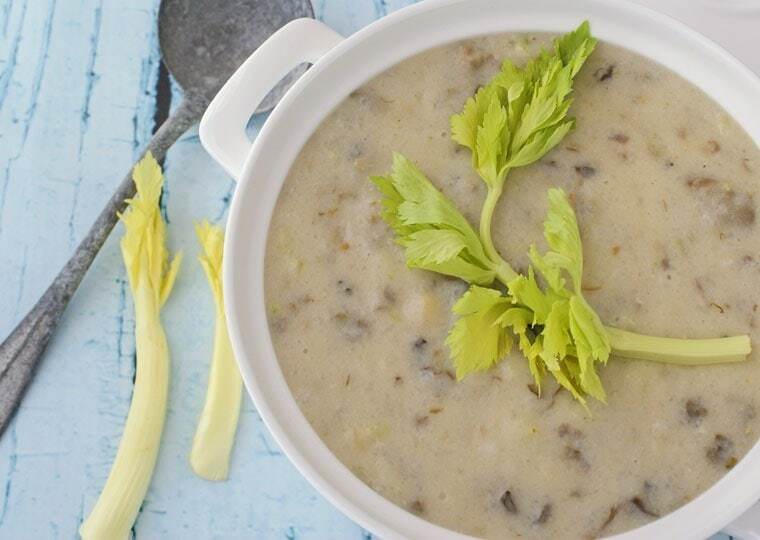 "One night for dinner my husband made two versions of oyster soup – one with milk and the other with rice milk: after trying both soups, Paul preferred the soup made with rice milk, which had a nice sweetness to it that complimented the taste of the oysters... I decided to try two methods... Maybe this was overkill, but it worked out rather nicely to thicken the oyster soup into a creamy oyster chowder." "Around 1860 a number of the Chinese who had left the plantations began to open small businesses in an area of Honolulu known as Chinatown... Sam Clemens would most likely have visited Chinatown during his stay in Honolulu, as he was there in 1866. Chinese food had became wildly popular by that time, with both foreigners and the local Hawaiians, especially dim sum, the varied and delicious appetizers. One variety of which remains a local favorite - Manapua, the Hawaiian word for Char Sui Bao, tasty little buns with a filling of pork char sui." "Mark Twain loved Lake Tahoe. He fell in love with it at first sight... In chapter Three of his book, Beahrs tells the story of Twain's travel west, his love for Lake Tahoe and for trout dinner. 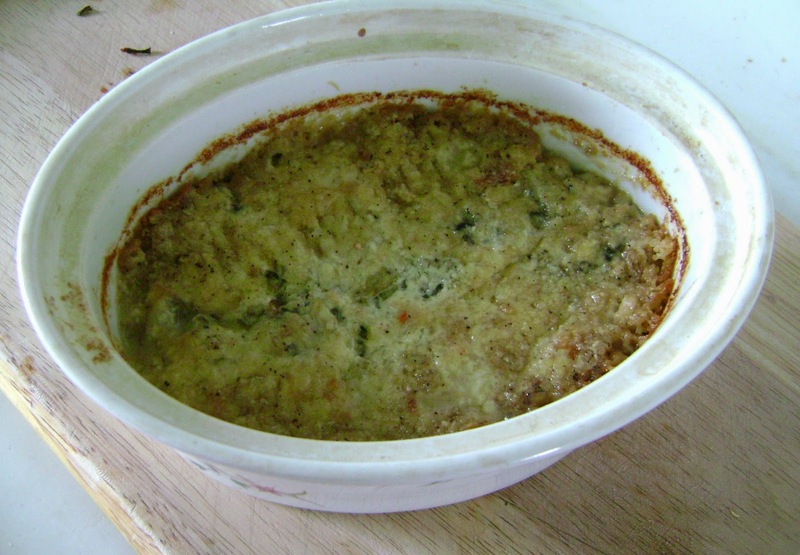 In our household, we also like a trout meal (lunch or dinner) and my recipe for it is simple and flavorful — though we have to make do with farmed trout." And now, I’ll turn things over to Rachel of The Crispy Cook for the April-May 2014 selection: Funny in Farsi: A Memoir of Growing Up Iranian in America by Firoozeh Dumas (2003).